GOLD company. Photo by Lorna Sim. 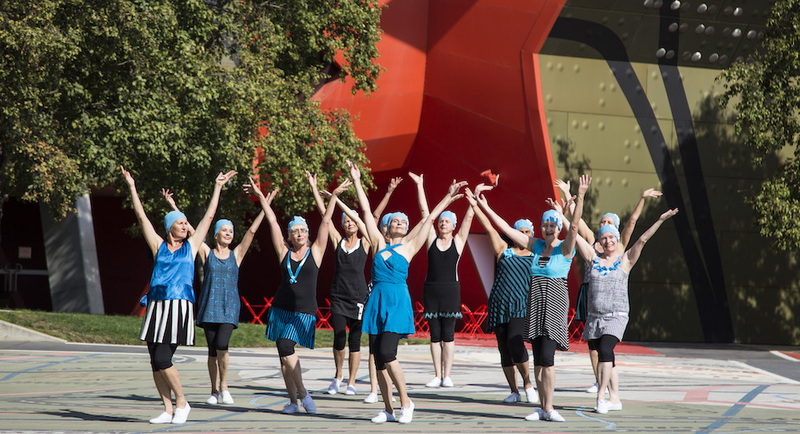 If you think dance is exclusively a young person’s game, then Canberra’s BOLD Festival is determined to challenge that and argue for a larger role that dance plays in a longer life. 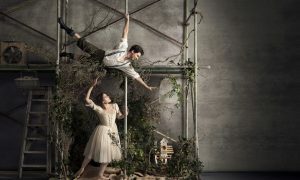 Dance Informa caught up with Liz Lea as she was jumping on the coach to head for Canberra, where her brain-child BOLD will have its second iteration. 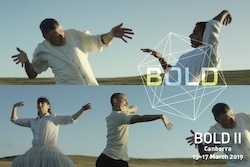 By all accounts, BOLD 2019 will be bigger and better than the first BOLD held in 2017, with a diversity of dance performances, including Indian dance, conferences on dance history and even dance performances in the new Parliament House. BOLD II. Photo by Sue Healey. Lea’s personal history started with ballet classes in the local Manly dance school, before she headed off to London to study contemporary dance. 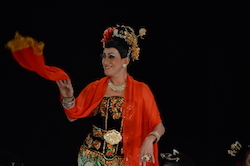 It was in London that Lea headed down a different path after discovering and becoming fascinated with a particular genre of classical Indian dance, Bharata Natyam. Where did the impetus come from to mount BOLD? Lea explains that it came from her own perspective as an older dancer, noticing that there were less opportunities for mature age dancers to perform and contribute, so she decided to try and turn that around with BOLD I.
Katrina Rank. Photo by Robert Wagner. And Lea would certainly seem the right woman to be at the helm of this dance festival with her extensive network of connections, including the National Library of Australia, the National Gallery of Australia and the National Portrait Gallery, to name just a few. 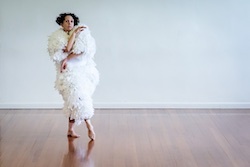 She continues, “A full day-and-a-half will be the conference with a variety of speakers, including our Patron Elizabeth Cameron, the founder of Australian Dance Theatre whose dance history knowledge is amazing.” The three key-note speakers are Karen Gallagher, Padma Menon and Marilyn Miller. BOLD ll attractions include more than just dance, as Lea explains that this year, BOLD will have more than 40 speakers, and the event coincides nicely with Enlighten and the Canberra Balloon Spectacular, where a number of colourful hot air balloons lift up and away in the early morning of Sunday 17th March. Not to mention “moon insights” as Canberra celebrates “One Giant Leap”, that historical moment in 1969 when Neil Armstrong stepped onto the moon. 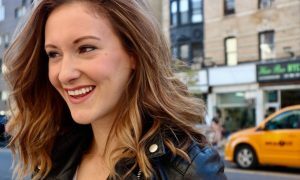 “BOLD ll will be springboarding off this to tap into people’s history and stories, but overall we’re celebrating the legacy of dance,” Lea says. 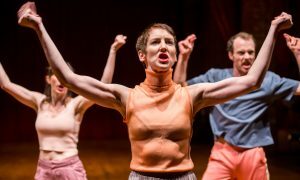 Lea is hoping that audiences will take away a sense of joy, respect, insight and intrigue as to how multilayered, complex and amazing dance of all kinds can be. That and a new appreciation for Canberra! 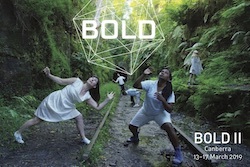 For more information on BOLD II, to be held 13 – 17 March, visit www.theboldfestival.com.